Love is a used yellow condom, old cigarettes and trash at the curb of the street. | Vian Roos is a visual storyteller using photography and design. 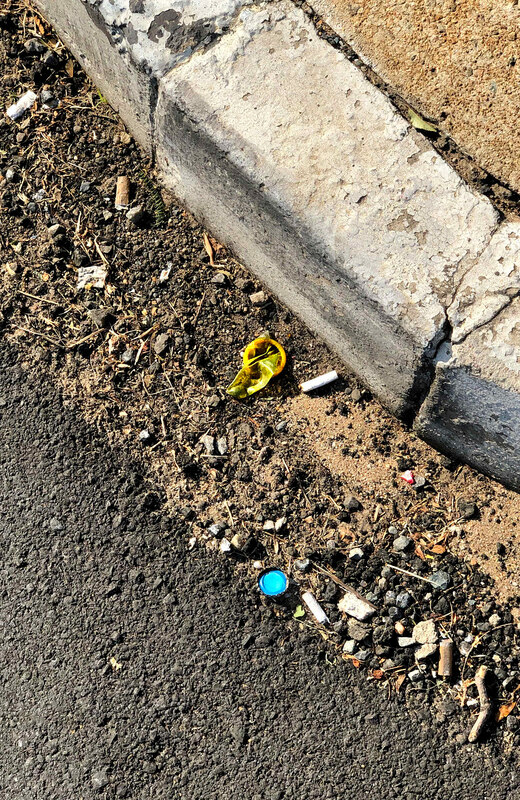 Love is a used yellow condom, old cigarettes and trash at the curb of the street.